Best Seller so far in 2017. 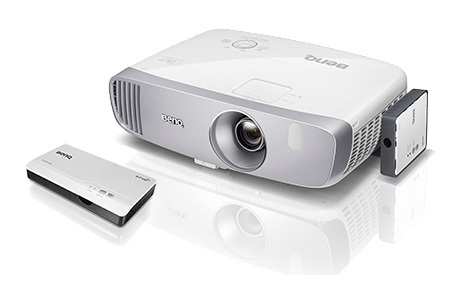 BenQ's new W1110 and W2000 projectors get our Editors' choice award. BenQ are going through a sea change with their latest projector models. The W1110 in particular offers value & performance for Home Cinemas. Keep up the good work BenQ you're going to give "Epson" an even bigger scare. New modern look and 50% more contrast at a low price so what's not to like? Benq w1110 & W2000 now have a 50% higher contrast ratio. with an optimised optical system at unmatched value. Lens shift +/- 10% vertical with a short-throw means you get a 100 inch image from 2.5 to 3.3m. Zoom range of 1.3:1 makes installation of the W1110 very flexible, you can zoom into your screens edges easily. Optional full HD wireless connectivity via the kit allows you to stream uncompressed 1080p content including 3D. The wireless range is up to 100 ft line of sight. BenQ warn (as most do) that transmission distance depends on the actual environment and steel, wood, concrete, or brick within line of site may decrease the transmission distance. We think HDMI is always best where possible. Wireless is handy but don't think there will never be interruptions say when you start microwaving the popcorn. Yes we meant opinion but it is an option. This option is not available for 3D so stick with the better HDMI..
W1110’s thermal system reduces acoustic noise to 27dBA in Eco mode, the lowest fan noise in its class, to provide a more pleasant viewing experience. This is really a very low noise level which is handy for smaller rooms. 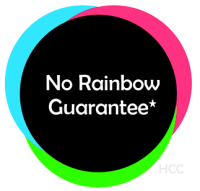 I can see clearly now the rain has gone..
Users can also fine-tune the gain, saturation and hue of six primary colours (R/G/B/C/M/Y) individually if you're not happy with the out of the box ISFccc®Certification. There is also a shutter to adjust the lamp brightness on the fly so the DLP chip is not trying to hold back unnecessary lumens on dark scenes. The inbuilt 10-watt speaker housed in resonant sound chamber plus BenQ Audio Enhancer powered by MaxxAudio dramatically boosts bass and treble for serious stereo sound when you're not connected to your home audio system. Normally you'd uses your Home Cinema Sound System however the inbuilt sound is handy when moving from room to room. If you're using a wall rather than a projection screen you can fine tune the Wall Colour Correction this has limits if the colour is too dark but handy for most colours you'll normally find about the house. 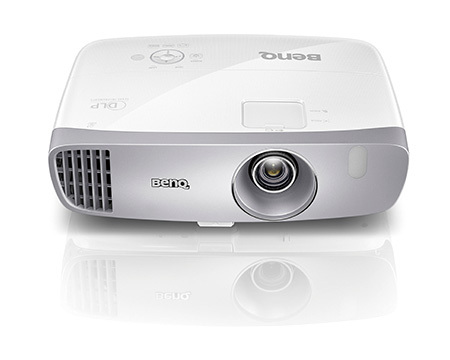 As with all DLP projectors BenQ claim this model has a Long Lasting Picture Quality. The micro-mirrors of the DLP chip and the nearly-sealed DLP engine design mean that BenQ DLP Projectors stand the test of time without any loss in picture quality note that lamp output will fall off over time but once you change the lamp it's all good again. Digital Light Processing (DLP), (3 Chip) was awarded 2015 Academy Award of Merit (Oscar® statuette), is the leading projection technology used in 90% of world’s digital cinemas and 100% of IMAX theatres. With BenQ's new W2000/W1110 ED glass elements optics (Extreme low Dispersion) there is better light conductivity and reduced colour aberrations. HCC will credit your purchase price towards another projector HCC stocks. All deliveries and insurance charges are at your expense. 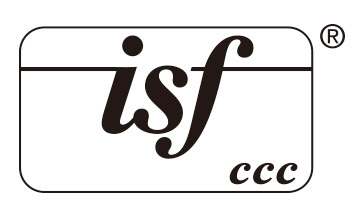 First you need to obtain an "RA" number from HCC then arrange delivery to us with the number. Exchange only. No price matches. you are unlikely to have any problems. Specifications - Subject to change without notice. Brightness* (ANSI Lumens) 2200 ANSI Lumens *Lamp life results will vary depending on environmental conditions and usage. Clear Image Size / Maximum Image Size 60"~180" / 300"
Environmental Notice Lamp in this product contains mercury. Don't just take our review's word for it! The BenQ W1110 offers a lot of performance and features for the price. Add installation flexibility and fast image processing then check out the overall value being offered by BenQ and you should be impressed. We're offering a 3 Year genuine BenQ Australia warranty too. That's peace of mind. Hint: Genuine BenQ 3D Glasses should only be used. GRAY IMPORT shops bundle with cheap copies. Free 3 year warranty upgrade!